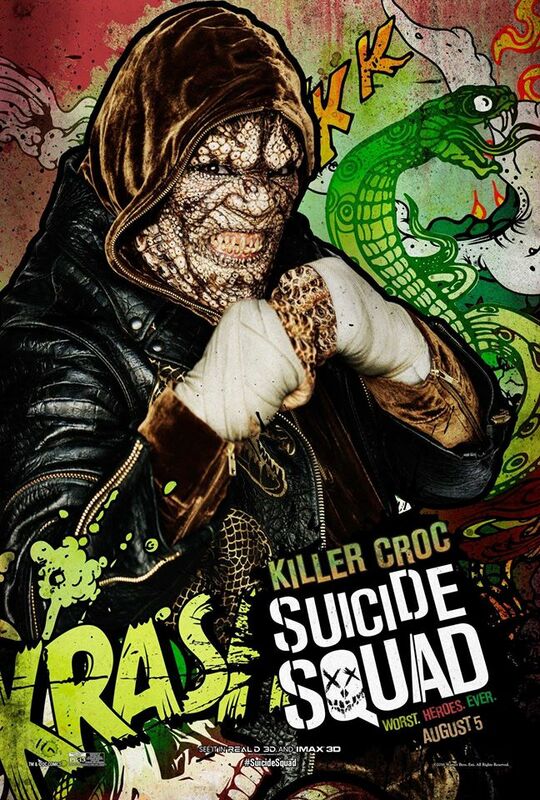 Suicide Squad Character Poster - Killer Croc. Adewale Akinnuoye-Agbaje as Killer Croc in Suicide Squad (2016). HD Wallpaper and background images in the Suicide Squad club tagged: photo suicide squad movie 2016 poster character adewale akinnuoye-agbaje waylon jones killer croc comic. This Suicide Squad photo contains मोबाइल फोनों के लिए, हास्य पुस्तक, मंगा, कार्टून, एनीमे, कॉमिक बुक, and manga.